The crowdfunding for the WinterCARD of the Saastal Bergbahnen AG (“That’ll blow you over!”) is considered one of the most spectacular marketing campaigns of recent years. And has now been honoured with the Marketing Trophy 2018 in the field of SMEs. No wonder: with an innovative marketing campaign, the cable cars sold more than 90,000 season tickets from October to December 2016, generating revenues in excess of CHF 20 million. The action was developed by matter + gretener and was based on the crowd funding principle: because more than 90,000 skiers and snowboarders wanted a season pass for 222 francs, the “Hammer Deal” became reality. And the European record in crowd funding was set up. “The decisive factor in the campaign: market research and volume protection went hand in hand,” says Marcus Gretener from the consulting firm for communication matter + gretener. Neither was a product launched that nobody wanted, nor was the marketing campaign leading to lower revenues due to price dumping. The latter would have been the case if Saas-Fee had sold the season tickets under the “production costs” for the respective number of days of skiing. Gretener: “When it comes to running an alpine infrastructure, however, there are primarily fixed costs. Only a small portion of the effort is caused by the individual skier who uses this infrastructure. “Even with a discount of 78 percent on the standard price of a season ticket, the” production costs “were more than covered and a win-win situation emerged: On the one hand, over 90,000 ski and snowboard fans could enjoy the ski area of Saas-Fee / Saas-Almagell for a whole season for a hammer price. On the other hand, the mountain railways already had more money in the cash register before the coming winter season than last year after the winter season. The season tickets were sold via the online platform www.we-make-it-happen.ch. The corresponding campaign took place on all channels (TV, print, editorial contributions, online). Co-operation partnerships as well as a broad PR offensive ensured a complementary broad communication as well as distribution. «What contributed significantly to the success of the action is the consequent change of the provider to the customer point of view, has connected with behavioural economic expertise», says Marcus Gretener and thus makes a key point for the success of the project. So, the pricing, the design of the landing page, and last but not least the communication heavily from behavioural economics findings were marked at the crowdfunding action. In addition has been successfully applied in the viral effect of the campaign via social media. The result: 50% more first steps into the ski area. Overnight stays and arrivals also rose by around 15% and 24%, respectively. The total increase in added value in the destination amounted to about CHF 40 million. The short campaign in the late autumn and early winter of 2016 also generated so much advertising pressure that the destination Saas-Fee gained enormous fame. This effect even led to overnight stay growth last summer. The views from the peaks of Saas-Fee are amazing- from the Dom to the Matterhorn and the Monterosa. Saas-Fee won the Marketing Trophy thanks to its crowdfunding campaign. 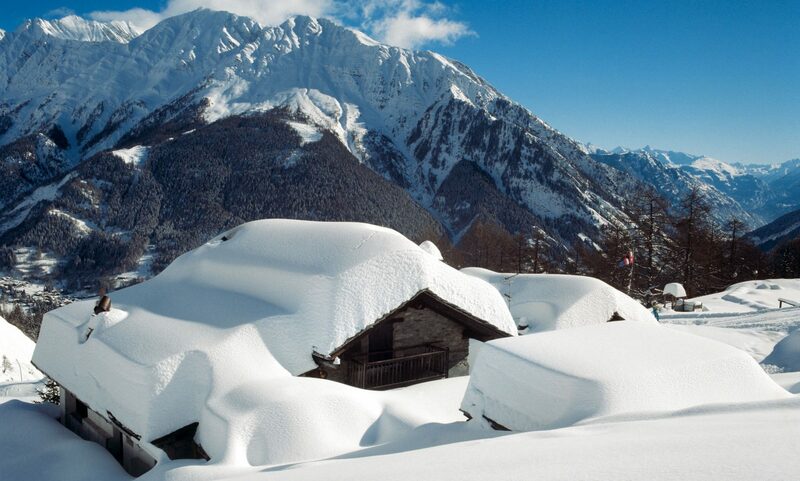 Featured Image: Saas-Fee in winter- Photo credit: Matterhorn Region- Saas Fee. Previous PostPrevious Crested Butte Mountain Resort, Okemo Mountain Resort and Mount Sunappe Resort are EPIC. Next PostNext Vail Resorts Introduces Emma, Your Epic Mountain Assistant.